Walls are important. They were essential for protection in ancient times. There’s the colossal Great Wall of China and Hadrian’s Wall in northern England, both built with the intent of warding off the invading hordes. 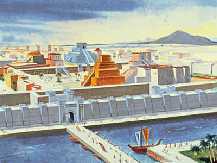 The width of the wall surrounding Nebuchadnezzar’s Babylon was about 25 feet, wide enough for two chariots to race side-by-side down the length of the wall. The biblical Nehemiah, a Jew of the Diaspora, upon hearing that the walls surrounding the city of Jerusalem were breached and that the gates of the city were burned, obtained permission for a leave of absence from Persia. With manpower and materiel, Nehemiah refortified the walls of Jerusalem in 52 days. However, not all walls serve good purposes. In the twentieth century we witnessed a different kind of wall, a wall that served the goals of enslavement rather than security. Metaphorically, Winston Churchill referred to this barrier as the “Iron Curtain.” But Churchill’s Iron Curtain was no mere metaphor; the Iron Curtain represented a real political barrier whether we’re referring to the 17th Parallel that divided Vietnam, the 38th Parallel that separated Korea, or the Berlin Wall that divided a city. This 87-mile wall with its 116 guard towers and its “death strip,” entrapped its citizens and reminded us that slavery was alive and well on planet earth. Whether it was Vietnam, Korea, or Germany, these nations learned that a barrier can be constructed as an instrument of protection by their rulers, but can also be used as an instrument of oppression against its citizens. Today, there is another wall that is billed as a protector, but really is an instrument of oppression. This wall is not made of brick and mortar, guard towers or barbed wire. Rather, it is a metaphorical wall, a construct of the mind, a barrier composed of erroneous history, misguided judges, and empty-headed repetition. Say anything against this barrier and instantly its attendants emerge, vouching for its veracity, swearing it to be a bedrock of our freedom. Every year millions of dollars are spent in fortifying this wall in government and society. This barrier is the infamous Wall of Separation between church and state. The Wall of Separation metaphor is the main idea used by church and state separationists to keep religion, namely the Christian religion, out of the public square. Most likely out of fear that Christian fundamentalism will seize control of the government, groups like the ACLU and Americans United spend millions of dollars a year to assuage their paranoia that Pat Robertson is going to take over the government. How did we go from a nation that acknowledged Christianity at every turn to a nation that is publicly so hostile to religious expression that we send little school girls to the principal for bringing a Bible to class? Like that frog in cold water being slowly boiled alive, this didn’t happen overnight. In effect, we have been on the path to limit religious freedom since the 1960s with the foundation laid in the 1940s. The Constitution has erected a wall of separation between church and state; that wall must be kept high and impregnable. Was Hugo Black right? Had the Constitution erected a “wall of separation between church and state,” a wall that “must be kept high and impregnable”? To get some better insight on this topic, it's necessary to look closer at the Constitutional standard for government’s relation to religion: the Establishment Clause. Read the phrase for yourself; you shouldn't need me or someone else to interpret it. But Wall of Separation proponents abruptly divert Americans from a common-sense reading of the Establishment Clause by offering the “Wall of Separation” spin on the Establishment Clause. Separation proponents laden the Establishment Clause with second-rate ideas it was never intended to bear. They have done this by conflating the Establishment Clause with “Separation of Church and State” and “Wall of Separation.” If you go to the First Amendment and look for the concepts “church,” “state,” “wall,” or “separation,” good luck; you’ll actually have a better chance of finding Waldo. Future Americans are going to howl, wondering how we could have been so gullible as to swallow this whopper. Separation proponents will no doubt say: “wait, what about Article VI’s ban on religious oaths? Certainly that supports the idea of the separation of church and state.” No, not really. Some states had established churches at the time of the Constitution’s ratification (Massachusetts did not disestablish its church until 1833). 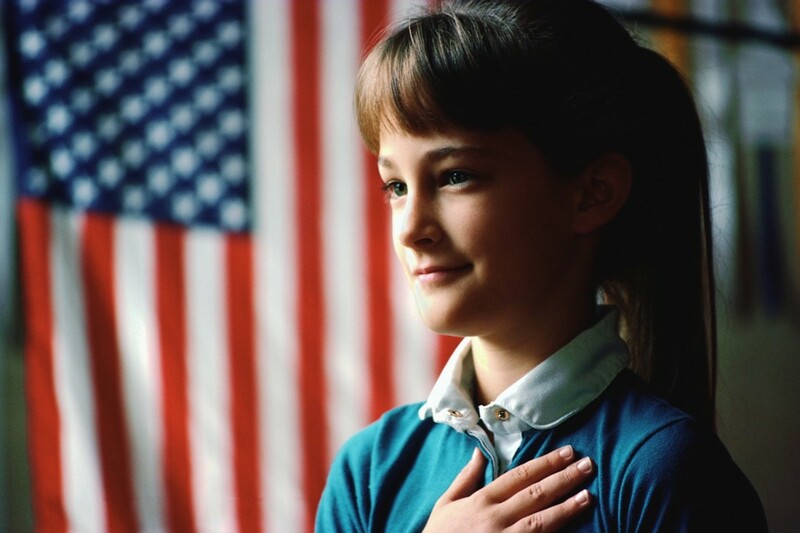 A national religious oath would have had the national government promoting a specific version of the Christian religion to the exclusion of the others. This seems the best way to harmonize Article VI and what was written in the First Amendment two years later. In his book Thomas Jefferson and the Wall of Separation Between Church and State, historian Daniel Dreisbach discusses the historical problems with using the "Wall of Separation" metaphor as a basis for interpreting the Establishment Clause. Among the issues he raises, Dreisbach points up that using Jefferson's metaphor is problematic given that Jefferson was neither that the Constitutional Convention that drafted the Constitution, nor was he a part of the state conventions that created the First Amendment. Also, Dreisbach points out that Jefferson's letter to the Danbury Baptist was probably politically motivated and perhaps not best representative of Jefferson's philosophy of jurisprudence. These are just some of the losses that Americans have suffered under the Wall of Separation. Come here to this gate! Mr. Gorbachev, open this gate! Mr. Gorbachev, tear down this wall. 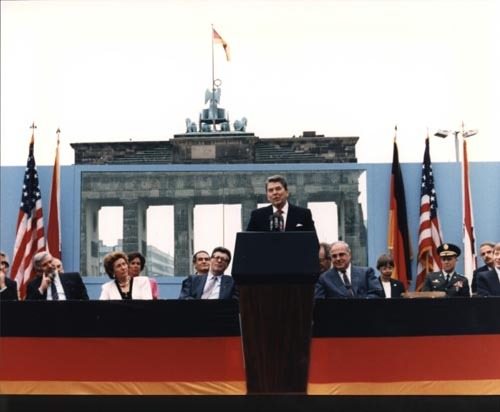 Reagan’s prophetic call became a reality in 1989 when East and West Berliners demolished the wall, the wall between east and west, between slave and free. Today, the Wall of Separation, like the late Berlin Wall, has become a Wall of Segregation. Furthermore, it serves to hide what is for many their real purpose in protecting the Wall which is to keep Christian fundamentalists out of government. If the ACLU was really principled about keeping religion out of government, they would see to it that every Halloween celebration was shut down and there would be no more “cultural awareness” events celebrating Islam at your child’s school. But, the ACLU is afraid of the Muslims and they tend to feel right at home with the ghouls that come out on All Saint’s Eve, so I don’t think you’ll be seeing any action from the ACLU on those fronts. Besides, the ACLU knows that Christians are mostly peaceful and when you have a battery of lawyers, you need to batter someone, which is why they take great liberties in smacking the fundies around: they can get away with it. Regardless, the Wall of Separation is designed to squelch the freedom of many in order to feed the paranoia of a few. It lacks historical connection to the United States Constitution. It’s time to retire the Wall of Separation to that same wing of the history museum that contains those leeches they used to drain the life from George Washington, the Edsel, and the Eight-Track Tape Player. The National Legal Foundation is a non-profit, public interest law firm, dealing with religious liberty issues. Brother William R Bowen Jr, I concur with your assessment 100% so allow me to introduce my views concerning the first Amendment's interpretation. The divisions are caused by misinterpreting the First Amendment, as you point out so vividly. I begin by realizing the word religion means "a way that teaches one the purpose of life" which means they are to live with one foot in the environment, as the pre-garden and Adam and Eve in the garden were living, and the other in civilization for comparing them objectively. They don’t recognize good and evil nor any of the other judgmental adjectives because they are homeless wonderers, they objectively observe, participates to discover various outcomes and reason with them to reveal their findings to others. When in a nation they will dress the state’s minimum requirement, otherwise, their practices have "made" them "free" from the state. "Dreisbach points out that Jefferson's letter to the Danbury Baptist was probably politically motivated and perhaps not best representative of Jefferson's philosophy of jurisprudence." Good explanation here, this really makes sense. "If the ACLU was really principled about keeping religion out of government, they would see to it that every Halloween celebration was shut down and there would be no more “cultural awareness” events celebrating Islam at your child’s school. But, the ACLU is afraid of the Muslims and they tend to feel right at home with the ghouls that come out on All Saint’s Eve"
I am not against freedom of religion. In fact, it should be obvious that I support it. What I oppose is the legal imposition of a "Wall of Separation" as a metaphor to interpret the Establishment Clause. Since this was imposed under the "Everson" case (1947), we have lost many religious freedoms in this country. The Wall of Separation is not the same thing as the Religion Clauses of the First Amendment--it is not even the same thing as the often-used phrase "separation of church and state." The "Wall of Separation" has not reduced the legal controversy in the U.S. pertaining to religion. In fact, it has increased it. The result of the "Wall of Separation" has not been to increase religious free exercise; it has decreased it. Thank you for reading and your thoughtful comments. This article makes no sense. It sounds like you just hate God but I was wondering who is going to protect your rights to believe that. I believe that protecting ones personal beliefs is of the up most importance. I also believe that protecting their institutions and allowing them to practice what they believe is equally important. Its the ones who violate this rule that we all complain about but we need to allow more choices and the right to not be a part of something we do not believe in. But more to your point, you need to make a distinction between the Establishment Clause, the "wall of separation," and the "separation of church and state." The "separation of church and state" has a long-standing history in America. It was the American sense that the two institutions should be distinct and that they not be like the European system. The phrase has a mixed past. For example, the "separation of church and state" idea has been used by the Klan to promote bigotry against Catholics serving in government office. Also, Hugo Black, who wrote the decision for "Everson" (1947) had been a former Klansman. The “separation” has generally been understood to be a separation of institutions, not the constitutional separation of religion and politics. Anyway, it has no constitutional force: it has had many uses in American history, some good, some dubious. But the "wall of separation" comes from Jefferson and has been imported into our legal vocabulary. Today it is the primary metaphor that is used to explain the Establishment Clause. But that’s all that it is: a metaphor and as such, is way too narrow to embrace the totality of all that the Establishment Clause means. It also has no constitutional force, except of course what liberal judges have given it. The “separation of church and state” serves a useful cultural function. But it isn’t “constitutional.” As far as I can tell, the “wall of separation” serves no value, save that to remind us of Jefferson’s views about church and state and the power of his pen . Ok, but I don't think that all of this writing about religion his helping you draw the ads you want to draw to your hubs. You're writing so much about what you don't believe in that the search engine is putting "Single-Mingle Christian Dating Service" ads on your hubs (you know, the one with the little fish logo....). Just sayin and thanks for stopping by. "Fundamentalist religions that gain control of a country destroy everything. Look at every example of Fundi governments. The Taliban is one. Al Quada itself is a fundamentalist group. All the Madrasas in Saudi Arabia are Fundi's. We certainly don't need a Christian brand of Fundamentalism dominating the policies of this country. Sorry, but an American Taliban is not something we want here." Your characterization of committed American Christianity as "fundamentalism" is pejorative. Judeo-Christianity was vital in building western civilization; the Taliban can hardly figure out how to install indoor plumbing. Are all "fundamentalists" a drag on freedom and progress? How about the "Darwinian fundamentalists" like Richard Dawkins? That's what S.J. Gould liked to call them. May be we should exclude those fundamentalists from having their ideas reflected in government also. "Jefferson used that metaphore [the Wall of Separation metaphor] to describe what the first amendment actually does in laymens terms so that everyone concerned would understand it. He likely assumed that people were smart enough back then to get it." If Jefferson assumed "that people were smart enough back then to get it" he didn't have to put it in "layman's terms" so that people would understand it. It does not follow that if religious symbols are on public property, they will result in religious people using the “public square” for their “selective and exclusionary purposes.” Under your rationale, every group and every cause should be excluded from using public lands as they might be tempted to take it over for their "selective and exclusionary purposes." It appears that your prohibition is targeted toward religion. Such a targeted discrimination is protected under the Free Exercise Clause of the First Amendment. As for the Muslims, what kind of “Muslim demonstration” are you talking about? Actually it's all relgion. This Christian persecution complex is really tiresome. Since the "public square" is paid for by the public, no religion has any grounds to lay claim to it for their own selective and exclusionary purposes. I doubt very much that you would be willing to let your tax dollars support a Muslim demonstration in the public park that you pay for. It's essentially a religioun-free zone. That "infamous wall" that you talk of is the most basic element of our democracy. It's the very thing that made us different from all other nations. Why would we trade something that has worked so well for us, for something that has worked so poorly for others? And with good reason. Fundamentalist religions that gain control of a country destroy everything. Look at every example of Fundi governments. The Taliban is one. Al Quada itself is a fundamentalist group. All the Madrasas in Saudi Arabia are Fundi's. We certainly don't need a Christian brand of Fundamentalism dominating the policies of this country. Sorry, but an American Taliban is not something we want here. Jefferson used that metaphore to describe what the first amendment actually does in laymens terms so that everyone concerned would understand it. He likely assumed that people were smart enough back then to get it. As much of a visionary as he was, I doubt that he considered the fact that we still be fighting over this 200+ years into the future. Such as....?? How about an example? That's because it wasn't meant to be defined in any narrow sense as you're attempting to do. It's more broad than that. Laws aren't written that way. Actually you have that wrong too. Article VI doesn't really say that.It says this: "The Senators and Representatives before mentioned, and the Members of the several State Legislatures, and all executive and judicial Officers, both of the United States and of the several States, shall be bound by Oath or Affirmation, to support this Constitution; but no religious Test shall ever be required as a Qualification to any Office or public Trust under the United States." An Oath or Affirmation is required to serve. An Oath refers to swearing that Oath upon the Bible or some other religious book. The Affirmation is designed for those that don't subscribe to any religious doctrine at all. Atheists for example. However..NO religious test is required to serve in government. That is what a secular nation provides. And that is what we've been from the beginning as you can see by our very constitution. This is where your argument disolves into paranoiac rant. You make claims and accusations which you simply cannot demonstrate as being true. So..you vere off into your own speculation as to the motives of people that simply find a far more factually based argument that has withstood the test of time, and been supported over and over again by the Supreme Court. I'm afraid this hasn't made the case of removing something that has worked so well for us, and replacing it with something that has served others so poorly. Onegoodwoman, The First Amendment to the Constitution says that "Congress shall make no law respecting an establishment of religion." That statement does not imply that Congress can make no laws about religion. In fact, in the beginning of our nation, they did. That statement forbids Congress from showing favoritism to one established religion (say, Congregationalism) over another (say, Anglicanism). You are right that religions embrace some moral compass. It is Christianity that has given America its. Islam embraces the jihad and the forceful conquest of all those that are outside the house of Islam. Christianity does not. Hinduism protects animals while people go hungry. Christianity embraces the idea that people are God's special creation and that the earth is there to sustain them. Others, like Confucianism, are philosophies that provide "wisdom from our ancestors," but it's merely advice; Judiasm and Christianity embrace a Word from God. But most importantly, none have an answer for the problem of man's estrangement from God. Christianity embraces the life of Jesus of Nazareth, his sinless life, his life of miracles, and most importantly, his resurrection from the dead, providing men and women eternal life, if they will but believe on His name and be saved. pulling the eyes out of the sockets of loved ones? WHAT we are really facing in America today, is A particular religion that threatens to hide behind our "right" to freedom of religion, and rock our Constitution to it's very core. Political correctness gone awry, in FEAR of insulting the Muslimes, who wish to brow beat us. Couturepopcafe,thank you & thanks for stopping by. Good luck on HP. Bibowen - This is the kind of hub I respect and like reading - factual, informative, well written and spell-checked! Your berating Christians for evangelizing the poor and uneducated only tells me that unbelievers do very little to help the disadvantaged in our world. They usually want the state to do it so they don't have to get their hands dirty. The Commission of the Bible is to take the gospel to all, from the highest to the lowest. Many people give their entire lives to this task without concern for financial compensation. The topic of this article is the Wall of Separation. The veracity of Christianity (or the lack of it) is not what this article is about. Here is an article by Arthur Kemp called "In the Name of God-The Christian Wars" you can find at http://white-history.com/hwr43.html. Christians can't make wars like they used to. What also should be observed is the evangelism of Christianity. They are constantly trying to convert people all over the world. They are after the poor, the sick, the homeless, the tired, the lonely, the hungry, in Africa, South America,Latin America, America, and many, many, countries. They use the victim's condition as an entrance to begin their teaching. The native tribes of Brazil and Africa and here in America and other places had their own religions which were earthy and served them well, But Christianity had to convert them with arrogance and assumed superiority and a book which natives had never seen before and ritual and story telling and parental-like guidance and by outnumbering them and advanced weaponry, materials, and science, and much more. Much of this is still happening. I hope you will read my blog about The Existence Of God II (https://hubpages.com/hub/The-Esistence-Of-God-II. I personally have lived around many Amish, and have been friends with them. They did no evangelizing. I have no problem with them as they do not try to convert me or other neighbors who may be Christian but not Amish. They are peaceful and non-warlike, they are down to earth and hard working and they live and let live. Why doesn't the rest of Christianity act this way. So many are aggressive republicans who are for the rich and many are racist. The point about the Quakers and the Amish was to refute your claim that religion is the source of war. We've had plenty of wars in the 20th century that were secular that killed millions. Atheistic communist states killed millions of their own. Yes, we have many religions in the US. But the vital element has been Christianity when it comes to religious freedom. Atheists are intolerant of other religions except their own and want them silenced (you've already said it--you don't want to hear it). The point about science was not about discoveries. Discoveries have been taking place for millennia. But the system of scientific inquiry that developed in Europe allowed for the sharing of scientific information rooted in observation and hypothesis testing, a system the spread the benefits of science to the most people. This system was developed out of Christian Europe and out of the Christian worldview. As for the Crusades, do you think you could find an example that isn't 700 years old? At any rate, this is far afield of the topic. The wall of separation is a recent development in church/state jurisprudence. It's a metaphor and a slogan. It has no legal ground. It should be (and I believe it will be) abolished. There are a lot of Christians in the United States, it's true, but there is a vast mixture of other religions and non-religious who aren't Christians and who don't want to be called Christians ("the United States...........is a very Christian Nation"). Are you saying that Christians ("the United States, which is at the forefront of modernity, is a very Christian nation") are the reason we are so modern? Did Christian scientists discover the atom and the molecule? Did they discover the black hole? Are they almost ready to grow a human hand? Did they discover evolution from ape to man? How about carbon dating? Mathematics? Anatomy? Anthropology? History? Christians want to put a new spin on science to fit God into the equation (inspite of true science) as the Creator. Christianity is willing to do anything to perpetuate and sell it's hocus pocus. The Amish and the Quakers are not evangelists. They do not believe in making war or being involved in it. They do their own thing and are peaceful. You, obviously, are not Amish or Quaker. Other Christians, unlike the Amish and Quakers, have a long history of religious violence. One war after the other. The Crusades is one example. First, thanks for reading and your kind remarks.
? "In order to ensure to citizens freedom of conscience, the church in the U.S.S.R. is separated from the state, and the school from the church." (Chapter X, Article 124). They also force-fed Darwinian fundamentalism (as Gould called it) down the throats of their students. The problem for modern atheism is that the United States, which is at the forefront of modernity, is a very Christian nation, compared to others, and has been this way since its inception. As for the Soviet model of church-state separation, it's going the way of leeching and witch burning. Where do you think the American model of church/state separation comes from? It's Christian, not secular. It's hard to conceive that you believe that warmongering is a product of religious devotion. If intense religious devotion and dedication were the causal determinants of war mongering, the Amish and the Quakers should be slaughtering each other for hegemony over Pennsylvania by now. You're obviously very intelligent and well-educated. Your article is well written with lawyer-like proving of the facts. (I guess you've proved them.) What gets me is that the Constitution was written a long time ago and we can argue who wrote it, how they wrote it, why they wrote it, when they wrote it, what they meant by it (even down to what each individual meant by it). It's undoubtedly a great document and even here in 2010 we still try to adhere to it. But it is 2010 and we are not early Americans. We do not burn witches. 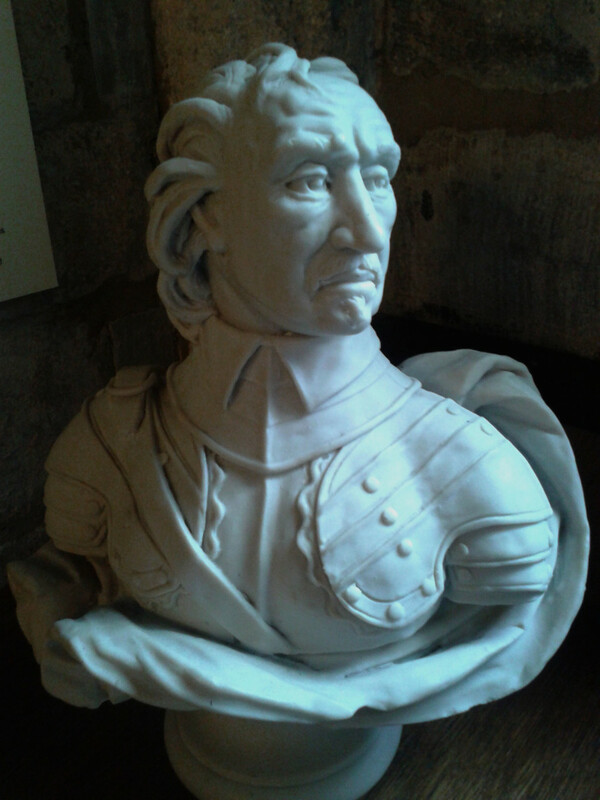 We are long ago separated from the Church of England. We do not put people in stocks. Women in this country are liberated. We have a black president. We've put a man on the moon. The sciences have flourished----------sociology, psychology, psychiatry, anthropology, etc. etc. We have carbon dating, nuclear medicine,quantum physics. I heard recently that we are getting ready to grow a human hand. I hate to think that Christianity or any other religion would be allowed to step into our schools and brainwash our children. I don't want to hear it. I don't want to see it. I don't want anything to do with it, except remove it. It doesn't belong in government. I believe Christianity is archaic, blindfolded, fear mongering, devisive, war causing, pollution. We are evolved from apes. Wake up! The Church of England was given the Respect and the Preference. OpinionDuck. I agree that the founders did not want a national state church, but I don't think that has much to do with the First Amendment which says, "Congress shall make no law respecting an establishment of religion." There was established religion in the states at the time of the writing of the First Amendment. The Amendment states that Congress will not give respect or preference to one over the other. Thanks for stopping by. I really got lost in this hub, and the comments. My opinion on the 1st Amendment is that the founders didn't want the equivalent of the Church of England in the country that they were forming. First, you are mistaken about the Establishment Clause. What you quoted was the First Amendment to the Constitution. The "Establishment Clause" is that part of the First Amendment that says "Congress shall make no law respecting an establishment of religion." Second, your argument about exercising your religion anywhere is a straw man. Nobody is arguing that Christianity has been "banned." Most discussions about "banning" Christianity are in the context of school. The Supreme Court has ruled against prayer (even non-sectarian prayers), Bible reading, the posting of the 10 Commandments, prayers at high school football games, at baccalaureate services, for starters. Are you not aware of these? The ACLU, Americans United, Freedom from Religion Foundation continually intimate local schools with threat of lawsuits if they don’t stop religious practices like Christmas school plays. These are a matter of public record and constitute most of the ACLU’s litigation. The fact that people practice religion at school anyway is irrelevant. People go ahead and pray anyway, but according to the Court rulings, they’re not supposed to in some cases. In my area (FL) a man came close to being charged with a criminal act because, as a school employee, he prayed before a school function. When I was in grade school, my teacher led us in the Lord's Prayer every morning (even though she wasn't supposed to do it). Every year, many high school valedictorians are told that they can say nothing about religion in their speeches. As one example, Brittany McComb, a valedictorian in 2006 who made reference to her faith in her public speech (in defiance of the school officials orders that she not) had her mike turned off in the middle of the speech so the audience could not hear her finish it. This type of thing is a regular occurrence at graduation time. Third, if you recall from my article, "Separation of Church & State" is irrelevant to any discussion about the Establishment Clause; they are not the same thing. But, culturally, we have upheld the separation of church and state, but not the separation of "religion and politics" and certainly not the separation of "God and Government." 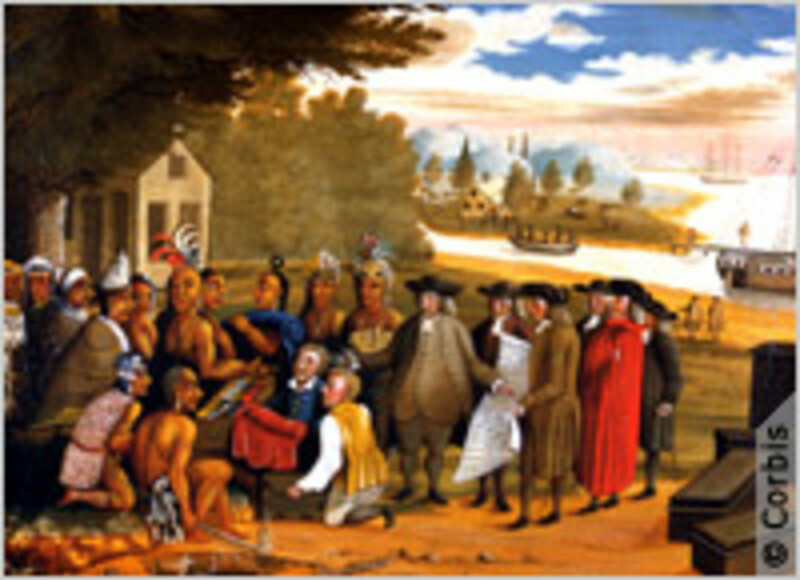 I have a hub (Early Americans on Law, Morality, and the Bible: What Did They Say?) that gives several quotes that support that early Americans believed that we could not divorce God & government. We can keep the institutions of church and state separate: no one is arguing that we should combine them. But we cannot whitewash the government of Christian influence. That influence is essential to the well being of our republic. Frankly, I am disappointed with this article. When I was in high school(not that long ago) we have a Christian club that was aloud to meet on campus. The only thing is that it can't be set up by the school. Also we were allowed to read bibles, or say prayers. It's just that the administration of that school couldn't "preach" to us or require it.I think it's a great thing. I don't believe that anyone of another religion or belief should be required to partake in anything that they don't believe in and ,of course, I'm completely against any kind of discrimination. And as far as I can tell Christianity in no way has been "banned". I have never been anywhere that I couldn't practice my religion freely. No one pulls me over while I'm praying in my car(which I do often) and tells me that's not allowed. No one at my child's school tells me that we can't say grace when I go to have lunch with her. No one tells me I can't use the words God or Christ in a public place or that I'm not allowed to wear crosses or tee-shirts displaying my religious beliefs in public. No one tells me I can't play Christian music on the radio at home or in my car. The only problem I can see here is that people don't want to allow OTHER religions to practice as freely as Christians do. It's discrimination! This is why we shouldn't allow anyone to require any religion or belief to be followed. This is why we have "Separation of Church and State". The "Wall of Separation" metaphor may have historical roots but that is light years from saying that it should be a part of our First Amendment jurisprudence or made the equivalent to the Establishment Clause. You lament that if Christianity is imposed, others will be offended. The problem is that many are offended now with the uniform policy of banning the Christian religion. The belief in no God prevails in our school's policy. Atheism does not get to win by default; it must be justified like any other claim. I think the best solution is to reverse Everson and have local communities decide the religious practices in their schools. Some people will not be happy with this solution, but people are unhappy with the uniform policy now. If people are going to be unhappy about a policy solution, it's best that they are unhappy with greater freedom, not less. “But you can’t enforce religious views” They are being enforced now. Just got finished writing a hub from the exact opposite perspective. I need not repeat all my arguments here. I would agree with you that public school and religion is a difficult issue. I would argue that the idea of a wall of separation between church of state does have a historical claim. It is an interpretation to the constitution that by your admission has stood for over 100 years. The principles of the Dred Scott case were overruled by the 13th amendment, which banned slavery. Interpretations of the Supreme Court stand until they are overruled. I think what you really fail to understand is the negativity that results when bible readings and mandatory prayers are forced on people that aren't Christian, and I'm not talking merely the non-religious. People who have deep seated faiths that will by definition be left out. Some people take that the position that the central definition of Christianity is that all other religions are false and a vessel for the devil. Do other people need to feel awkward about their faith so that Christians can have prayer in school? I can understand that Christian children went a venue to express their religious beliefs, to have time for prayer, and to read the Bible. I just don't think public school is the place for it. Thank you for your comments Wingborn, but you need to go back and look at the article again. I do not make any claims as to what was the purpose of the Wall of Separation. In fact, it is my contention that there is no Wall, not at least from history. The First Amendment contains no such wall. Recently, historians like James Hutson and Daniel Dreisbach have called into question Jefferson's "wall of separation" letter which is not constitutional. I think that Jefferson's letter to the Danbury Baptist can be better interpreted as a political letter rather than one that should be used to capture Jefferson's jurisprudential philosophy. 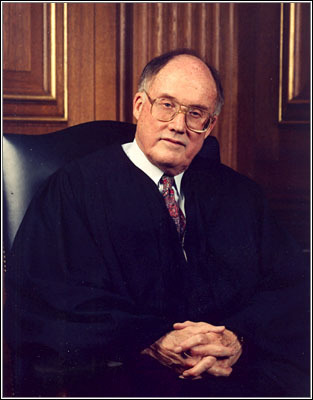 Chief Justice Rehnquist said that the “wall of separation” was a "misplaced metaphor” and that it has no grounding in history. He was right. Thanks again. You have entirely missed the point. The Separation of Church and State was put into place not to protect the State, but to protect the Church. I saw a quote some time ago, which I've been trying, unsuccessfully, to find a source for. 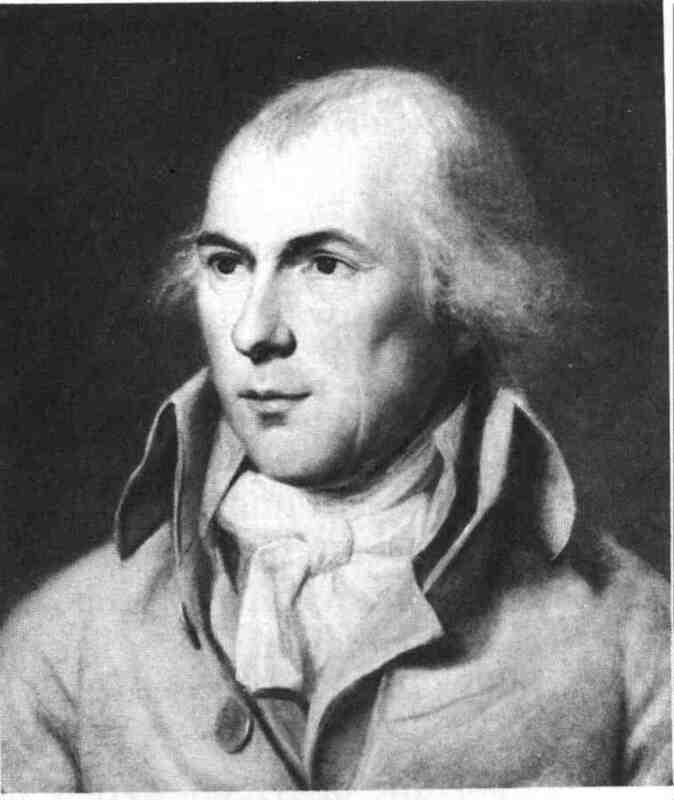 It's something James Madison, the father of the Estabishment Clause, might have said: "The separation of Church and State is vital for both Church and State, for if there is no such separation then not only can the Church meddle in the affairs of the State, but the State can meddle in the affairs of the Church." Well stated. The Free Exercise Clause needs to be restored to its rightful place instead of being the slave of the "wall of separation." Thank you. First I have to say this hub is fantastic and I could not agree with you more!!! "Nor deny the free expression there of"
This is something that the supreme court decided to ignore I guess. The first amendment in no way shape or form was designed to lets say, stop little billy from drawing a cross in art class and such, How ridiculous! Why did they not impose it then? Why was it not in use? Like you said, they prayed in government buildings, children prayed in school, children read Bibles in school. You do well to wish to learn our arts and our ways of life and above all, the religion of Jesus Christ. These will make you a greater and happier people than you are. Congress will do everything they can to assist you in this wise intention. Note there how he said ABOVE ALL meaning that he believed the teaching about Christ in school or elsewhere to be of the most importance even more so than of art or our ways of life. No, I do not believe the founding fathers intended for us, to separate God from any part of our land, buildings or beings! And I appreciate all those who are wanting to and do stand up and defend our constitutionally protected rights as a God Loving citizen! thank you for this hub!!! First, a religion is not an organization, a church is. Churches are normally those institutions that propagate religion. But religion can be propagated by other institutions besides a church. Religions are better qualified as "belief systems" if you are looking for a category. Second, I doubt seriously that George Washington ever went to church to "feel close to God." That sounds like the kind of "Christian lite" that is propagated by the Rick Warrenites. The Washington incident that you are referring to has to do with Washington's refusal to take communion while living in Philadelphia. It did not pertain to church attendance. Washington was a regular church attender throughout his life. I mention this in my hub "Was George Washington a Deist"? Thanks for your interest in this topic. I should make it crystal clear that Religions are formal organizations with strict interpetations as to what to believe. There people who don't ascribe to those strict interpetations and don't belong to any Religion who do pray to God and recognize that there is a God.This is not by definition a religion.If there were a formal organization then it would be. George Washington went to church at times to feel close to God,in fact he went many times .One day when he was in church the pastor admonished him for not being a regular church goer where upon he left that church ,never to return telling the pastor that he would nolonger embarrass him. James, thanks for the kind words and keep up the great work that you are doing. "Separation is implied by dening the federal government from making any law that makes any religion a state religion ,meaning supported or promoted by the state in any way.Why should the state promote a particular religion?" From the reading of the First Amendment, all it says is that Congress can make no law respecting an establishment of religion. That would be "respecting" existing establishments which were in place in about half of the states at the time. It could not have been the framer's intent for it to imply what you suggest. At the time of the establishment, Congress prayed to the Christian God, government building were used for the purpose of holding religious services, and Jefferson promoted the use of government money to the Indians for religious purposes. Furthermore, even the more secular of the founders like Franklin and Jefferson spoke of the "utility" of religion. They were not religiously neutral. Almost all of the founders would have believed that an atheist state was a doomed state and that the Christian religion should be promoted by government without government playing favorites among the sects. This is a fantastic Hub! Every word you wrote is true. I could not agree more. Thank you very much for your courage, and fine, stylish writing. Great stuff! Seperation is implied by dening the federal government from making any law that makes any religion a state religion ,meaning supported or promoted by the state in any way.Why should the state promote a particular religion? If it promotes one it will have to promote all of them to remain unbiased.Religious leaders have enough power without taking the peoples power's of self government away too.ALthough it seems someone has beat you to it.I wouldn't be surprised if a particular religion was behind it.Jesus "christ" never proclaimed any religion ,it was his Aposiles and their followers who did that ,and they were imperfect.Even Jesus "Christ" when asked by the jewish Sanhedrin when they were trying to accuse him of some crime "wheather they should follow God or Ceasar said; "give me a coin;whereupon he pointed out that ceasar's name was on it,and said;give to ceasar that which is ceasar's,and give to God that which is God's".He said let the people choose who they will follow and why.We all have a God given right to choose religious as well as political freedom.Each one of us does what we think to be right.If we are wrong ,so be it.But it is our choice and no one elses.God knows that and so do you.Some people insist on wearing and boasting about their religious affiliation to anyone and everyone who will listen.Some practice their religion quitely without fanfare,and without making sure someone knows out of some kind of self rightiousness.The rightious need not make it known to everyone ,just living a rightious life is enough for them.Being a good example is enough.Let each individual promote their own religion,in their own way and let them decide which religion they will promote. In the same way they should be able to choose how they will be governed.Wheather the two come together in principle is the perogative of the individuals and groups of individuals if they so choose.They are the arbitors of the laws they make ,if religion has an effect upon that is a matter for those individuals to make,not the leaders of their religion.In this way religon may play a role in government.If,in the future the religions eventually come together as one religion it would still have an influence on government indirectly.If that is good enough for the people is up to them,If they wish to change it is also up to them.Not a dictator,be it religious or secular or any combonation thereof.